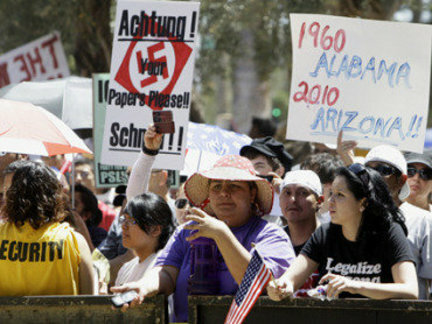 The state of Arizona has taken a stand against unemployment this week after signing a new bill into law, which will make a plethora of remedial jobs available to the majority of its citizens. The bill will create highly coveted positions in the food service, gardening, highway construction, and janitorial industries for Arizonians desperate to enter the low paying entry-level job market. The law marks a victory for Arizona as it serves to not only provide low skilled employment opportunities for state citizens, but it is also believed to somehow make the state safer as a whole. The legislation reaffirms the former Mexican territory’s proud independent spirit, highlighting the ideals upon which America was founded. Ecologically minded Americans may face the opportunity of a lifetime as the Gulf Coast prepares to offer yet another chance for activism in the highly unpredictable region. An oil platform owned by Transocean Ltd. will be to thank if eco-conscious Americans can trade their free labor for peace of mind and a chance photo of themselves with a freshly bathed sea bird. 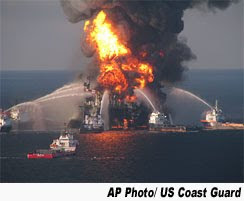 The oil platform’s potential 8,000 barrel a day call to activism may even extend to members of the Army National Guard if the situation were to maintain it’s present course. + Become A Leader And A Follower. + Need to see the light?